← Scout Sewing Specialist or Stake Scout Seamstress? Not always are the boys able to complete all the requirements for a given badge during their week at camp. Sometimes the reason is weather. Sometimes it’s because additional time is needed to practice, observe results or follow up with additional activity and learning. There are other times when requirements can’t be passed because there’s just too much to do with too many kids. 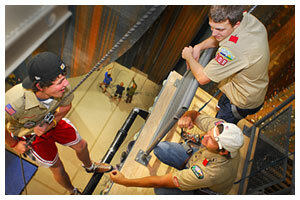 As was the case with the Climbing Merit Badge at the Bear Lake Aquatics Base this summer. BLAB had the needed surfaces between their climbing tower and the Paris Ice Caves however, the boys were having too much fun on the free rappel route and never got to the 3rd surface! So what do you do now? You can satisfy requirement 10b by visiting the Momentum Climbing Gym in Sandy. In fact, they offer personalized, hands-on instruction specifically for Boy Scouts ages 12-18 to earn the Climbing Merit Badge! Leaders need to call ahead to schedule their troop and obtain waivers that must be signed by each scout’s parents beforehand. The price includes all equipment rentals along with two nights of instruction, two hours per night, for a total of up to five hours with our BSA certified merit badge counselor. Check out Momentum’s indoor climbing facility for more details, rates and contact info. You can also find a climbing wall or gym near you by visiting http://www.99boulders.com/utah-climbing-gyms. 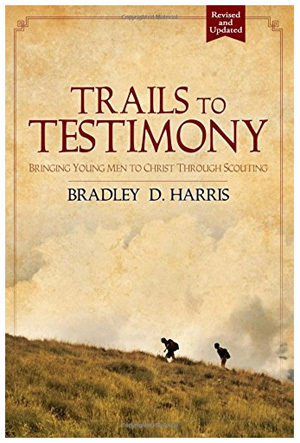 This entry was posted in High Adventure, Merit Badges, Wasatch Front and tagged bsa, climb on safely, climbing merit badge, climbing school, merit badge counselor, momentum indoor gym, rapelling, sandy utah, varsity scouts. Bookmark the permalink.